This book has great ideas and concepts for working with employees. 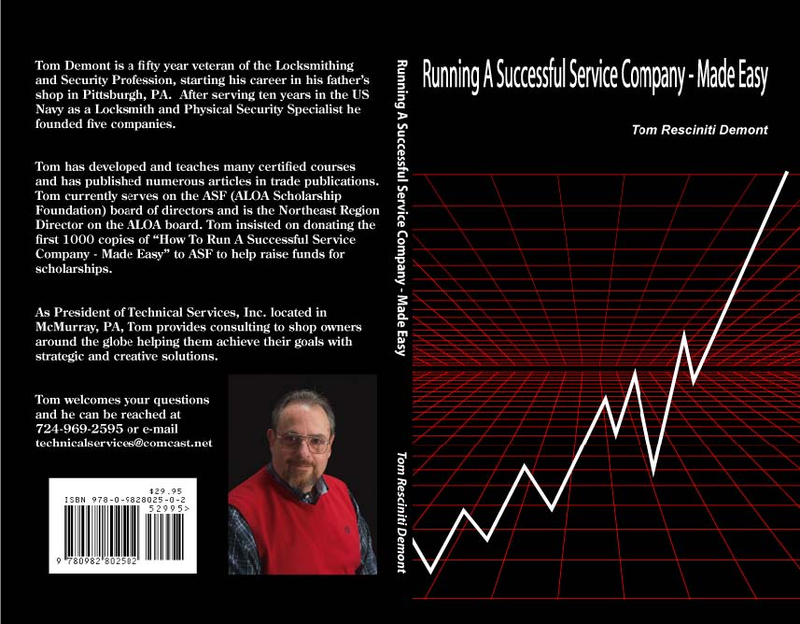 Based on Tom's concept for setting up and running a locksmith service company. In a short 10 years Tom built the largest locksmith company in the DC Metro area with 12 retail stores, two warehouses, 30 locksmith service trucks and 5 safe delivery trucks. His 63 employees were hired and trained by Tom to be the most efficient locksmith service company. His customers ranged from fast food stores, large corporations, banks and the federal government. His company was a complete locksmith service company servicing residential, Commercial, Industrial, and all levels of government. Tom is a hardware expert on Building and Fire Codes in the Means of Egress, (The safe route out of a building or structure). Tom taught his first seminar in October of 1990 when he was asked by the national locksmith association to put together this course. The first lecture was very basic covering the ADA Act of 1990 and BOCA, Building Officials and Code Administration chapter 7 1990 edition along with NFPA 80 and 101, Fire door assemblies and life safety codes. This book is updated every three years and the current version is 2015. These books are color coded, Red 2009, Blue 2012, and Yellow 2015. Today book is more than 234 pages with the latest building and fire code offered from ICC, The International Code Congress and NFPA, National Fire Protection Association 80 & 101, and IFDIA the International Fire Door Inspection Association. 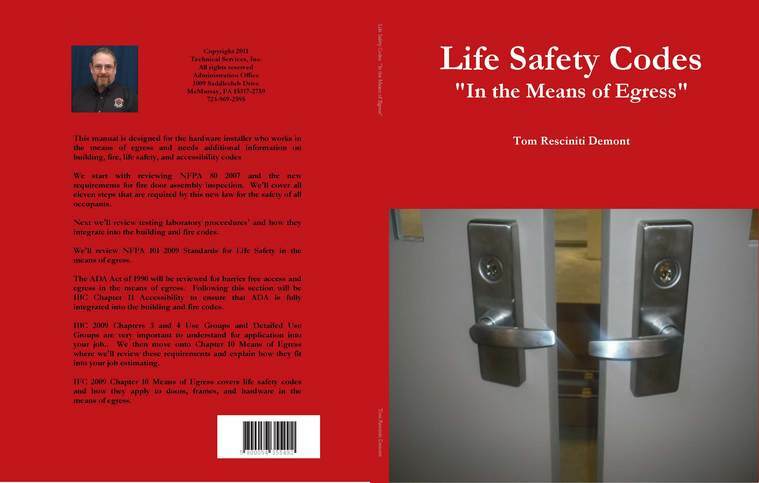 The book has many Author's Comments to help you understand the code and how doors frames and hardware are treated in the means of egress. This is a must book for all hardware installers. 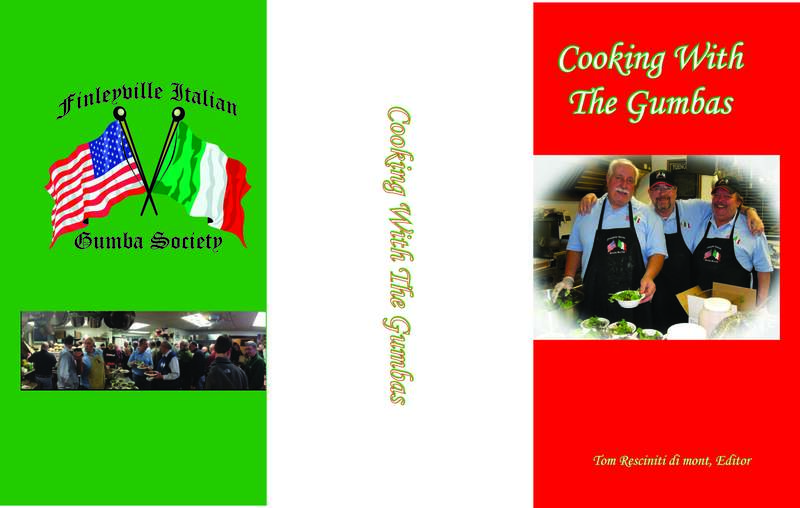 Cooking With The Gumbas is a collection of old Italian recipes that have been handed down from generation to generation. I have traced my Resciniti family back to 1625 in Campania, Italy. This will be the only Italian cookbook you will ever need or want! Enjoy all 288 pages of Italian delicacies.